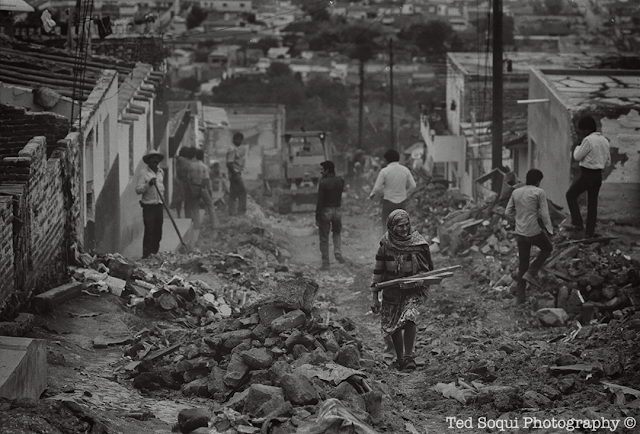 32 years ago on this date, I was on a plane to cover a giant earthquake near México City. Had a bag full of black and white film and two Nikon film cameras. Was amazing to watch and photograph people put their lives together after such a terrible earthquake. Photographed this woman carrying some wood for fuel to cook with. Most of the homes in her colonia were made of adobe, they crumbled and were destroyed in the quake. Sadly another catastrophic quake struck on the same date 32 years later.